Happy Mother's Day: How Do Insect Moms Compare? How do your mothering skills compare to the insects in Mother Nature? We’re guessing that you’re right up there with the best of the insect moms. In the short lifespan of insects some mothers go above and beyond, while others do very little at all to care for their young. Earwig – This insect doesn’t understand the concept of overprotective. 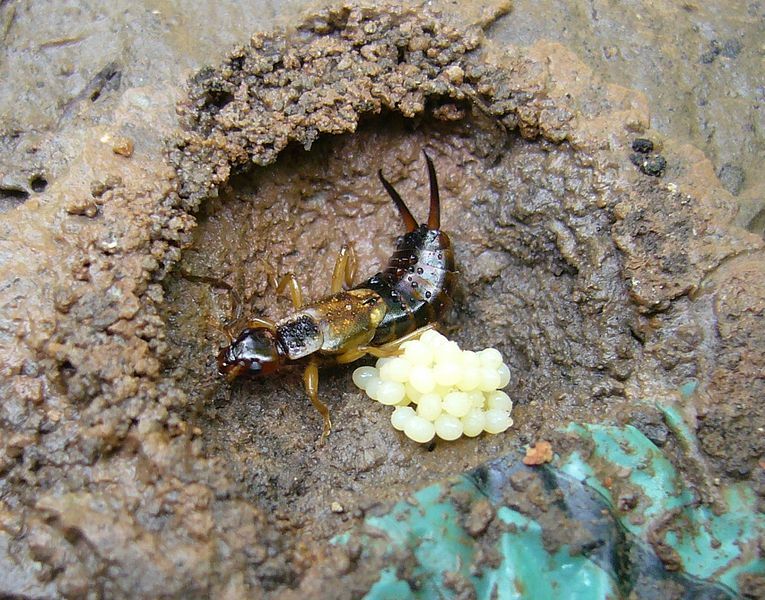 From the second she lays eggs, the earwig does everything in her power to protect her young. She builds a nest for the eggs to lay in, she’ll abandon all her hard work and move the family the second she senses danger, and she even chews up food for her newborn bugs. She’ll look over the larvae for weeks until they shed their first skin. Cockroach – There’s a reason there are so many cockroaches in the world – their mothers do a good job protecting the eggs. Roaches create a protective casing for their eggs and carry it around with them for days until they find a suitable hiding spot where the eggs have the best chance of hatching. Praying Mantis – The praying mantis may eat her mate, but she handles her eggs much more carefully. She’ll create a protective Styrofoam-like casing for the eggs to hide away in until they are ready to hatch. Bees and Wasps – Stinging insects like bees and wasps don’t just provide safe homes for their eggs, they also provide a food supply for babies after they hatch. Mama bees and wasps put their eggs in burrows or mud nests along with paralyzed insects for early feeding. Social bees and wasps that create hives are even more involved parents. In the hive newly hatched larvae are looked after and fed until they become adults. Betsy or Patent Leather Beetles – Both mom and dad Betsy beetles do a great job raising their young. They watch over the eggs, and once they hatch the parents feed the grubs until they are old enough to do it on their own. Lace Bug – The lace bug mother will protect her eggs and the resulting nymphs from other insects, even if it means jumping on their back and fanning her wings to frighten predators away. Walking Sticks – These moms just drop their eggs as they travel along not bothering to protect them, hide them or put them where there’s a food source. Burying Beetles – Burying Beetles are proof that some moms have their favorites. This insect will feed some of her young, but there’s almost always not enough food to go around. So she’ll focus her attention on some of the larvae and the rest become part of the food supply. As you can see the insect world is full of great mothers that are doing their best to give their offspring a chance at an enjoyable, healthy life. There are a few bugs that are slacking on their motherly duties, but for the most part they’re pretty good parents.